Very experienced bushwalkers with specialised skills, including navigation and emergency first aid. 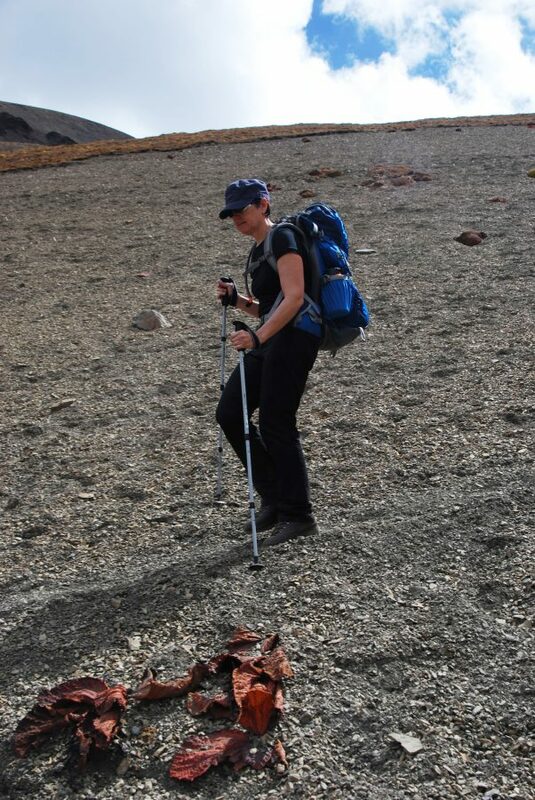 Tracks are likely to be very rough, very steep and unmarked. Walks may be more than 20km. I have many fond memories of trekking through Bhutan and years later I continue to tell my travel stories to anyone who will listen. The Bhutanese people are genuine and welcoming, the culture is respectful and colourful, and the scenery is extraordinary. Good governance which are interwoven, complementary, and consistent. When you travel through Bhutan you see these pillars in action from the modern healthcare available to all, the comprehensive school and university education, and the protection of the environment. The Bhutanese constitution guarantees freedom of religion and citizens and visitors are free to practice any form of worship so long as it does not impinge on the rights of others. The predominate religion is Buddhism however Christianity, Hinduism and Islam are also practiced. We had been thinking of trekking in Nepal for some years and chose Bhutan because we wanted a better quality experience that was less commercial and with fewer travellers. 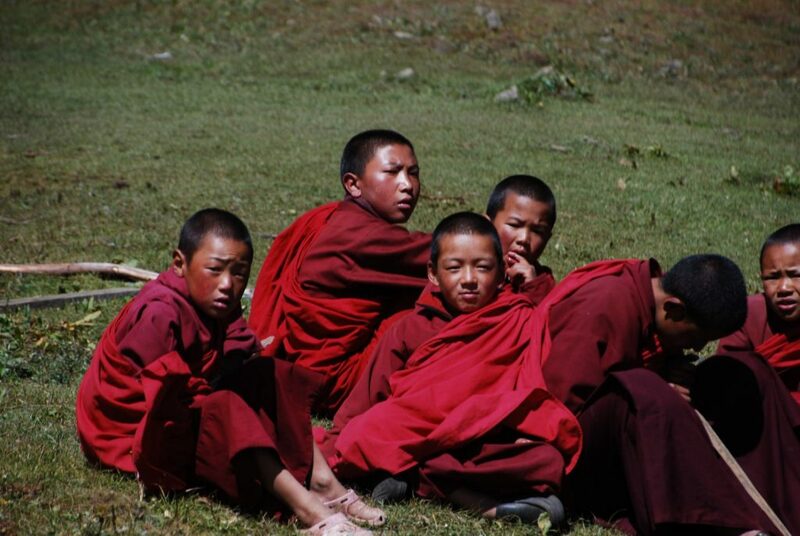 Bhutan prides itself in not having made the same errors as developing nations dependent on tourism. And I have to agree they seem to have gotten it right! We had arranged to do the World Expeditions’ Bhutan High Trails via Laya. All up it was an 18-day tour commencing and finishing in Paro with some amazing country and culture in between. We were in the company of seven travellers from Australia and New Zealand whom we met at Paro airport and in the expert hands of Chundu our tour guide. Our first adventure was flying into Paro Airport. It is famously on the list of the world’s most dangerous airstrips. I definitely believe that – it is not for the feint hearted or those who have a fear of flying. The views of the Himalayas as we approached Paro were fantastic and then with some very expert skill of the flight crew, we find ourselves banking right and left and right to navigate our way among the mountains and safely onto the airstrip. The highlights were too many to mention so here are just a few. Winding our way up to Taktshang Goemba (Tiger’s Nest Monastery) was simply beautiful. Hard work but worth it. I should say that ‘hard work but worth it’ pretty much sums up the entire experience in Bhutan! Taktshang Goemba is one of the iconic images of Bhutan so of course everyone has to visit – including those who are perhaps not as fit as needed. Those travellers (not hikers of course) often opted for the horse ride up and the walk down. After a few days’ hike and we arrived at Jangothang with Mt Jhomolhari in the background. 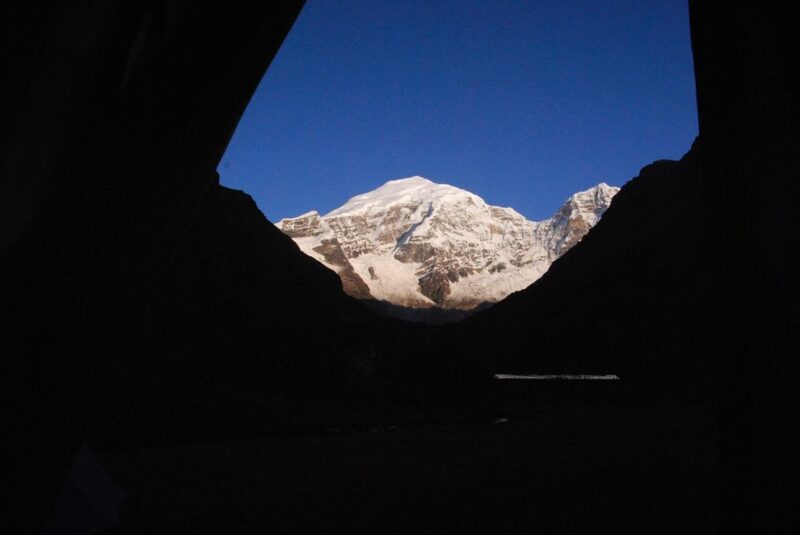 We were even able to pitch our tent so that we had a view of Mt Jhomolhari at sunrise. We had a couple of interesting experiences at Jangothang. This is the point on the trail where the horses carrying our gear pass the task to the yaks. 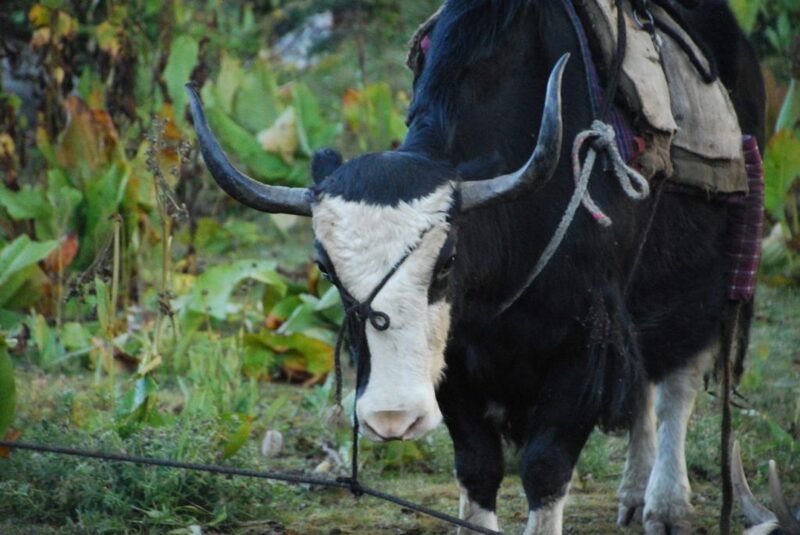 Only problem was that the yaks decided to go home in the middle of the night and the yak herder had to go in search for them, take them back to our campsite, collect our gear and head to the same place he found the yaks earlier that morning! The second experience at Jangothang was when some locals invited us into their home. We learned that the yak herders’ homes tended to have three rooms. One for cooking, eating and sleeping. One for storing food over the winter. And a temple for praying. It definitely challenges the western world’s fixation with building McMansions! Our highest pass was at Shinge La and at 5048 metres, challenged us physically. Having said that we found enough energy to put our prayer flags in a higher place at 5,100m. Prayer flags are a common theme across the high trail in Bhutan. And of course, the tourists love them. Tim being as competitive as he is, decided to head up the slope another 100 metres with another group member to get the prayer flags as high as possible. 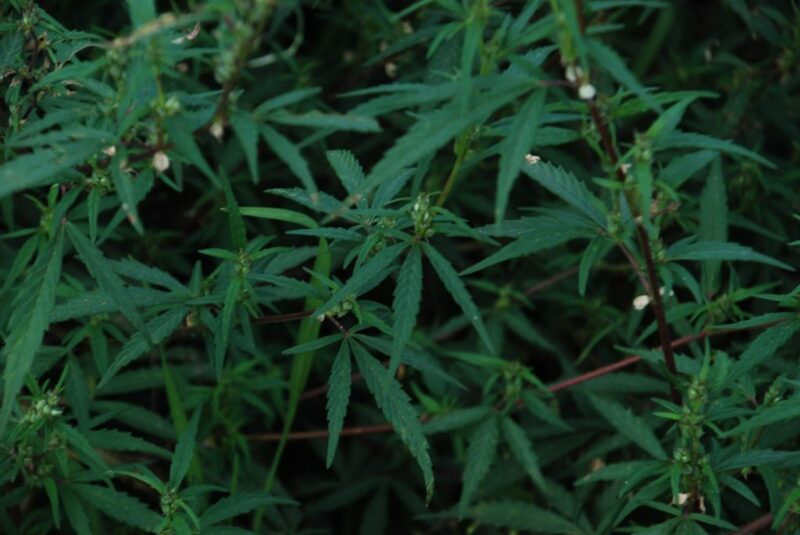 The next memorable experience was the beauty and diversity of the natural environment. 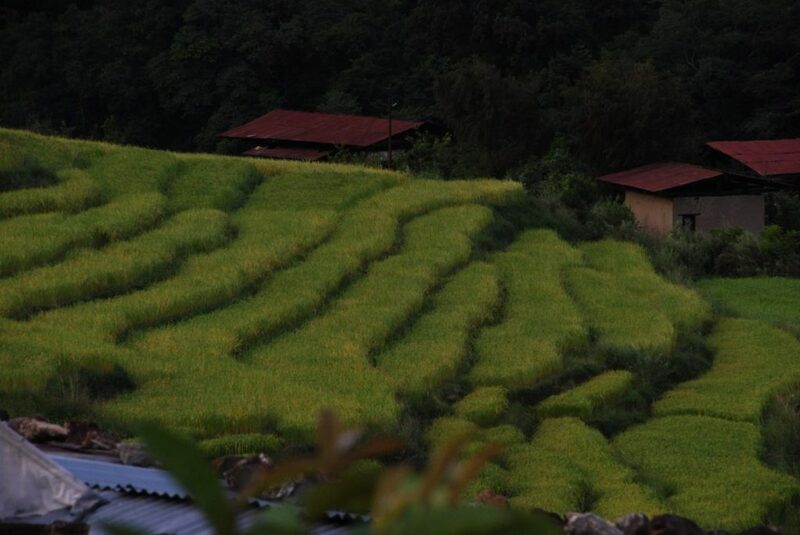 Bhutan has committed to maintaining at least 60% of its forest cover. 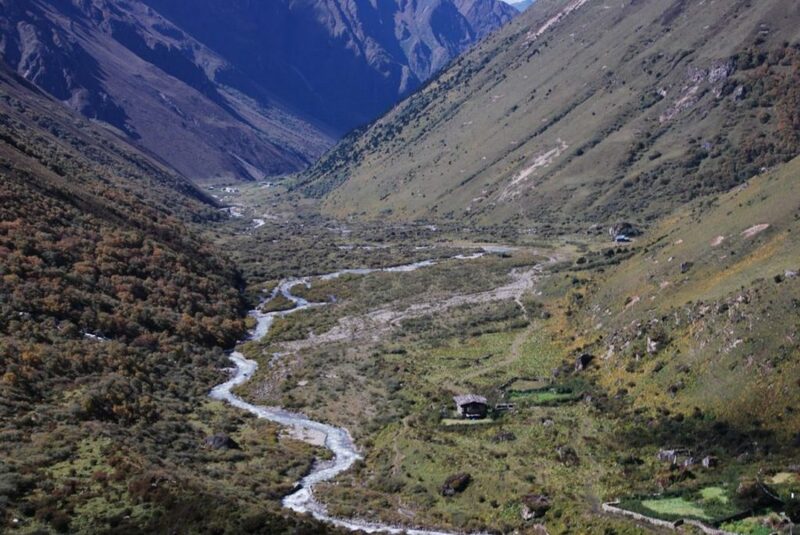 Today, approximately 72% of the total land area of Bhutan is under forest cover and around 60% of the land area falls under protected areas comprising of ten national parks and sanctuaries. We took over 1200 photos – really – of mountains, forests, wild rivers, open plains, glaciers, plants and flowers. All with the fantastic Himalayas as the back drop. There are solar panels on most yak herder homes in Bhutan. Interestingly, the panels are not for heating water, lighting or heating their homes. They are used to charge the mobile phones. We even chatted with the young wife of a yak herder who was camped under a blue tarp making yak cheese in a huge metal pot. She was going to be there for a few months and her only modern conveniences were her mobile phone and a portable solar charger for her phone. And the phone coverage along the trail and high passes was fantastic. We couldn’t believe how good it was. And we had turned off our mobile phones and left them in the drawer at home. I should say we are still happy we did that but our original reason was that we didn’t think the phones would work. 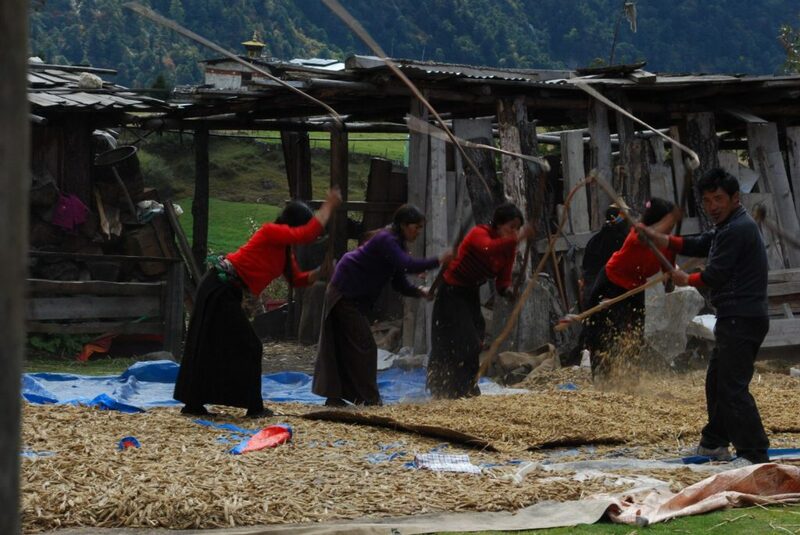 In Laya we had the honour of being invited into the home of a grain thresher. Again there were solar panels but not for lighting, heating or cooking but to charge the portable devices. Their young daughter was watching a Disney movie on her portable PlayStation while standing in the light of an open wooden shutter. A great balance between a traditional lifestyle and all the mod cons! 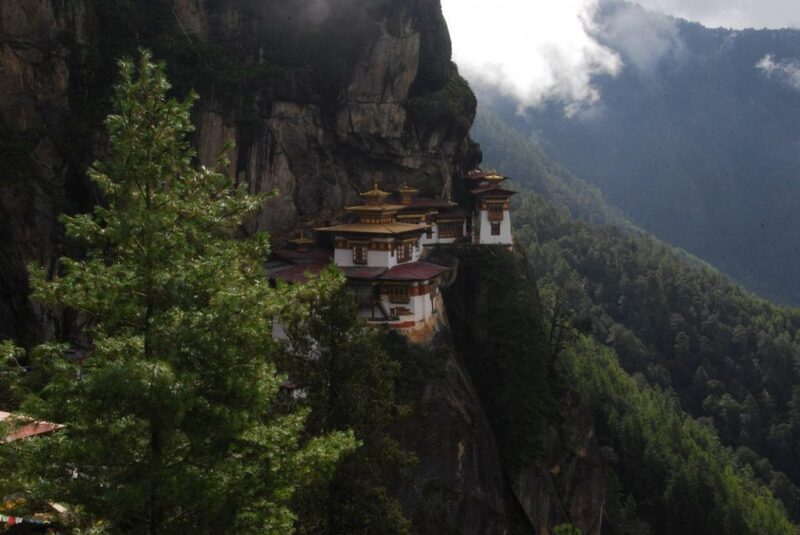 Bhutan is a must do hiking experience. And if our list of new adventures ever gets to a manageable size, we would love to return and experience more of the generous hospitality and rich culture of the Bhutanese people.